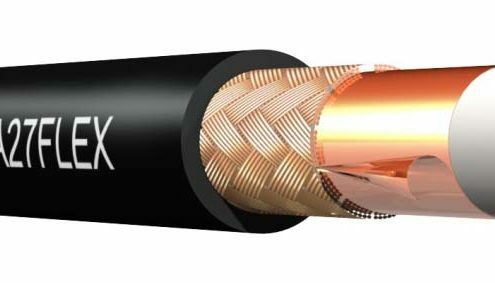 Cable with coaxial (concentric) design, primarily used in high-frequency applications. The inner conductor which transmits the signal is enclosed in dielectric medium, then a shield and finally the outer jacket. Coaxial cables are primarily used in antenna technology and broadband networks. They can support data transmission rates into the gigabit range.